Which UK Platform will lend the first £1bn? £1 billion in cumulative lending is a symbolic milestone for the individual platforms that make up the UK industry. But which platform will get there first? Surely it will be Zopa? 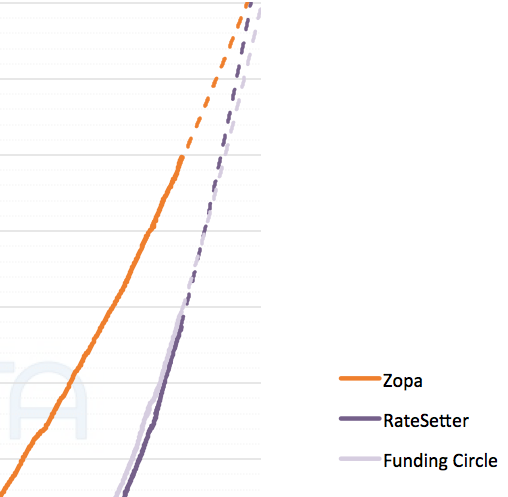 Zopa is the world’s original and oldest P2P lending platform, it’s been around for 5 years more than any other platform and it is currently over £200m ahead of any other UK platform in terms of cumulative lending, sitting at just over £800m today. However, the other two contenders, RateSetter and Funding Circle are growing at a faster rate. 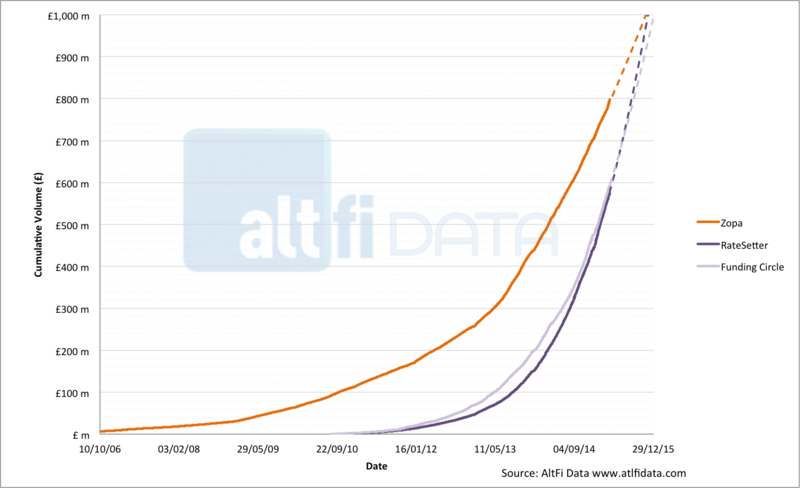 If all three platforms continue to grow at their current rate, AltFi Data predict that its going to be a very close run affair, too close to call infact, with all three platforms hitting the £1bn milestone within a few weeks of each other at around the year end. Check out the charts below and expect fireworks this December!